‘Resonance’ marks the most prestigious moment so far in VNV NATION’s career. 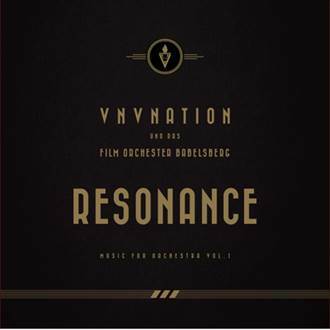 Years in the planning, the album features many of the best known VNV NATION songs, performed purely with orchestra and voice. No other studio instruments were used as the goal was to be as authentic as possible. Already very familiar with classical music, and taking much inspiration from it for their own songs, this is the album that VNV NATION have always wanted to make. The album was recorded with the world renowned Babelsberg Film Orchestra, at their historic studios in Potsdam, just outside Berlin, next to the stage where legendary movies like Fritz Lang’s ‘Metropolis’ were filmed. Only the best studios were used for the recording, mixing and mastering. The results speak for themselves and can only be described as majestic… This is a soundtrack to a film that has yet to be made.